Veronica Armstrong-Archives-Why I love BlogHer. This post may be considered a number of things including the most tardy blog conference review post ever, a love letter to the BlogHer community, or a good old-fashioned thank you. Let's call it a combination of the three. BlogHer is a "community and media company created in partnership with women in social media." They're my publishing network, my blogging community, and my cheerleaders. I appreciate everything being a member of the community has given me including blog and social media education via it's carefully curated content and well structured conferences, exposure of my work to a broader audience via features and syndication on the BlogHer site, and financial compensation for my blog work which involves a significant investment of my time. It's a labor of love. I'd blog without all the above but the bonuses are nice. Very nice and motivating. You can learn all the technical stuff here. I use the BlogHer ad network because it makes my life easier. I don't have to solicit sponsors each month and keep track of all the financial details. I love that BlogHer keeps ad network members informed and sends out regular correspondence about current advertisers. There are options to opt out of certain categories and from different advertisers which is fantastic. I don't because - well I used to be a professional gun buyer for a defense company. What on earth could I possibly be opposed to? Seriously though that's a great option. It's not all or nothing. Thanks to BlogHer I am compensated for writing decent content. Payment is dependent on traffic. I've had some stellar months (100K+ page views) and some quiet ones (8-10K page views) so my monthly payout fluctuates wildly. Either way I'm getting paid to BS on the internet. Sounds good to me. As a member of the ad network you can opt in to receive opportunities for paid reviews. BlogHer is selective about who it partners with so while not every opportunity may be a good fit for you they're always high quality. Every review I've partnered with BlogHer on has been pretty awesome. I've had a good time working on the campaigns and sometimes there are great giveaway promotions for my friends/readers. One thing I really like is that BlogHer is okay with completely honest reviews. They want your truth, candor, and voice. They're not looking for regurgitated PR speak and I respect that. Their partners value us as bloggers and don't expect anything less than an honest and comprehensive review in our voices. The compensation is pretty awesome too. Once again my monthly payout from ad revenue, reviews, editorial work, and/or supplemental ads fluctuates but I've had payments in the $19.00 - $600 a month range. I've been approached a few times to contribute editorial work. It's paid work sponsored by a BlogHer partner so while there is (really great) compensation the project is strictly editorial. I was given suggestions for topics within a theme but selected my own and drafted my content without any sponsor input. Here is an example of a more structured editorial project I worked on. The content was mine but I used the BlogHer provided crib sheet as the basis for discussion. I had a great time working on that project and it was a great fit since it's obviously a topic I am passionate about. It's hard for me to be unbiased here but let me do my best. The first BlogHer conference I attended was disappointing in some regards but I don't think it was a reflection of the conference itself. It was a combination of having a baby with me, having the misfortune of encountering some bitter Betttys, the location (San Diego is awesome but it was the opposite end of the country which is a long way to travel for a short trip - exhausting), and not knowing what to expect/not thinking strategically about what I wanted to get out of the conference. This year could not have been more different. The conference was close to home, I was childless, I steered clear of bitter Bettys or disregarded the few I encountered, and I had a solid plan of action. I promised myself I would make the conference worth my time, effort, and money. Of course it was a nice little getaway in an amazing city but I needed to know whether the conference was deserving of the hype. For me it was. I was extended an invitation to attend a breakfast meeting with Blogher cofounders Lisa Stone and Elisa Camahort Page, major conference sponsors, and an exclusive selection of impressive, popular, fancy type bloggers like Weelicious, Baby Rabies, and Jenny on the Spot. I could definitely sense a "who the hell is this chick and why is she here" vibe from a blogger or two (not from any of the awesome bloggers I named above) but I didn't care and honestly I wondered the same thing too. Little old me? Wow! Thanks! 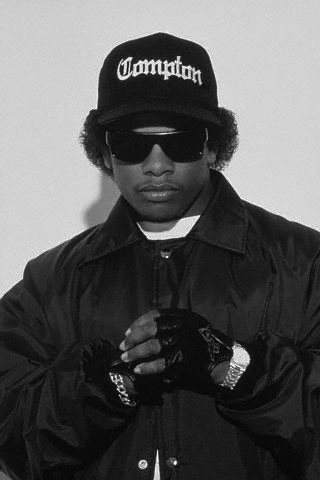 I felt like Eazy-E when he visited the White House. Dripping jheri curl all up on Ronald Regan's shoes. I should've entered the room like STRAIGHT OUT OF LAWRENCE! But then I would've been asked to leave and missed out on that penthouse view, those delectable scones, and would've wasted a pretty dress. Note: if you don't get these references please brush up on your American history. Geeze.What ARE they teaching in schools these days? I met some fabulous people who were representing the major corporate sponsors of the BlogHer conference. It was an opportunity to provide feedback in an open forum about what I like about working with brands and what could stand to be improved. It was a great experience and it was wonderful to meet many of the faces behind the BlogHer names I see on my computer screen everyday. I made some great connections at the meeting and was truly honored to attend. Another amazing thing was my meeting with a BlogHer executive. She took a few minutes out of her insane schedule to speak to me and that meant a lot. The craziest part was she knew me. She knew my blog. She clearly knew exactly what I was about (party and bulls*** mostly) and it was immediately obvious that she didn't read the Veronica cliffs notes. She knew me. The fact that a BlogHer executive took time to not only speak with me but takes the time to read my blog regularly was unbelievable. They care about what I'm doing here. That is amazing. I met a handful of phenomenal brand representatives. We kept in touch post conference and I'm happy to report that the cost of my ticket has been fully recovered and then some by some freelance work I've secured via connections I made at the BlogHer conference. The conference was a huge success for me this year. I attended a few of the sessions and they were either awesome and too crowded or didn't meet my needs. BlogHer has taken steps to improve attendee experiences based on community feedback and recently introduced a new conference called BlogHer Pro which is geared toward the business side of blogging and seems like a more intimate gathering. That would be right up my alley but doesn't work for me this year due to my husband's trip to India and our upcoming London trip. I'll definitely give it a shot next year. I think it's fantastic that BlogHer is committed to improving the conference experience for its attendees. The experiences and opinions above are strictly my own. They're honest and have not been influenced by anyone or anything. No one asked me to write this post. I've been meaning to write a conference recap and share my experiences with you for months. I hope this is helpful to any of you who are looking for an ad network, a conference to attend, or a new blogging community. There's something for every blogger at BlogHer and I am thrilled to be a member and part of such an inspiring community.